It is all too often we witness stereotypes being placed on individuals based on the generation that they were born into. In recent years, we’ve become aware of the generalizations that fall upon the Millennials… and now the youth following in their footsteps. Not sure what I’m referring to? Kids these days are entitled, impatient, too reliant on technology, and suffer from poor communication skills as a result of their addictions to the internet and their smartphones. Sound familiar? Have a listen to Simon Sinek’s talk on “Millennials in the Workplace” that currently has over 6 million views on YouTube. But, why is it that in this day and age, we are witnessing young professionals developing at rates far more advanced than ever before?? 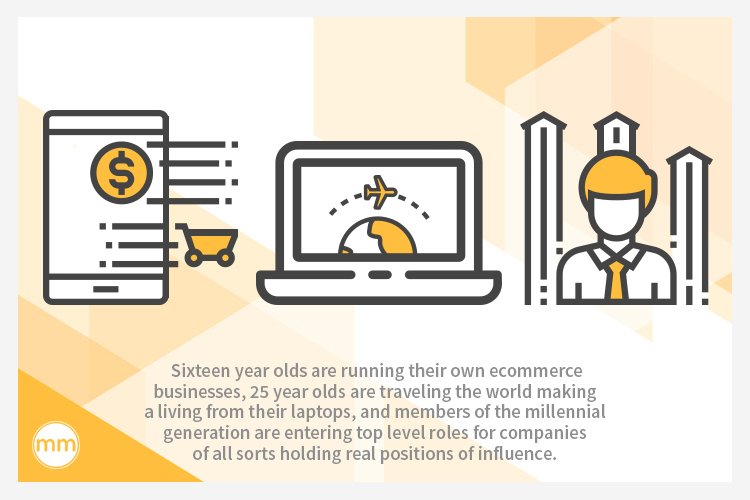 Sixteen year olds are running their own ecommerce businesses, 25 year olds are traveling the world making a living from their laptops, and members of the millennial generation are entering top level roles for companies of all sorts holding real positions of influence. The reality is that there’s a generational divide being created by the digital era. What we need is to understand how to bridge the gap and build cohesive workplaces. So you’ve completed your 4-year degree, you have a TON of relevant courses to list, plus some internship experience, and now you are totally ready for that coordinator role with a $50K salary and plenty of vacation time. Sounds great! Only problem is that scenario is not very realistic at first, but it can be with the right approach. Patience is key. 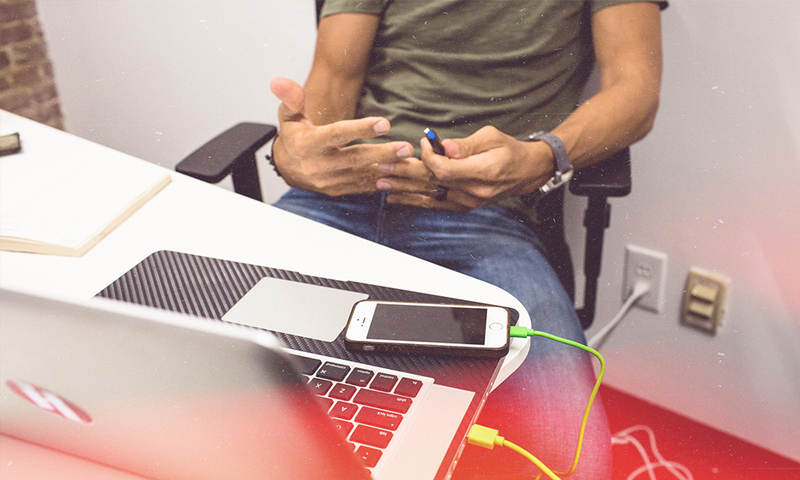 The bad news: companies don’t want to hire you as a coordinator or manager…yet. The good news: they want to hire you at entry-level and that is OK.
Who cares if you are assigned mundane tasks at first. I spent 50% of my first year laminating and cutting print collateral for trade show events and direct mail campaigns. Don’t be afraid of putting in extra hours, don’t hesitate to accept new projects. Use your first 6 months or year to hit the ground running and learn as much as you can. With social media and the internet we are so used to getting instant access to things and expecting instant gratification. We want to reap the benefits, but usually hold back when it comes to volunteering our time and energy. 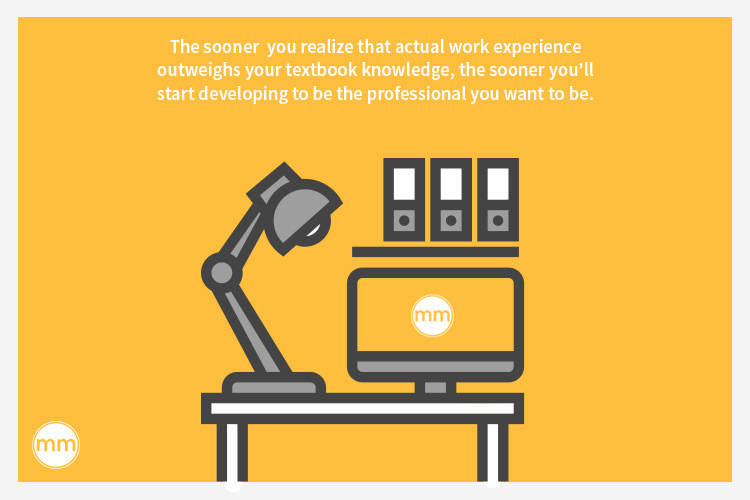 The sooner you realize that actual work experience outweighs your textbook knowledge, the sooner you’ll start developing to be the professional you want to be. You may not have experience yet, but they do and you can gain valuable insights from them. Don’t be afraid to ask questions no matter what you are working on. The more experienced employees have been in your shoes before, and they will be willing to help as long as your motive is genuine. The more you humble yourself on the things you don’t know, the sooner you can start addressing your own weakness. Technology and digital experiences are second nature for us. Use this to your own advantage! Your ideas may not always get brought to fruition, but your voice is important. Younger generations have an obligation to promote technological advancements within our organizations. We need to use our platforms to bring a fresh perspective. We need to use our platforms to help our companies understand and see the power of digital integration. Capitalizing on digital distribution is important. Using technology to be more efficient in the workplace is important. After attending HubSpot’s INBOUND 2016 conference in Boston, my eyes were opened to the ever evolving world of tech in business. Hungry to learn more even after the sessions had ended, I played my odds by messaging the host, HubSpot’s Senior Director of Global Marketing—Ryan Bonicci. Wow did I feel stupid for asking his age!! But, it changed my thought process on how to approach my career development and I think we can all learn from it. I hear you when you say, “Help! My Millenials aren’t working!” Some aren’t. (But then again, some in the older generations aren’t either.) 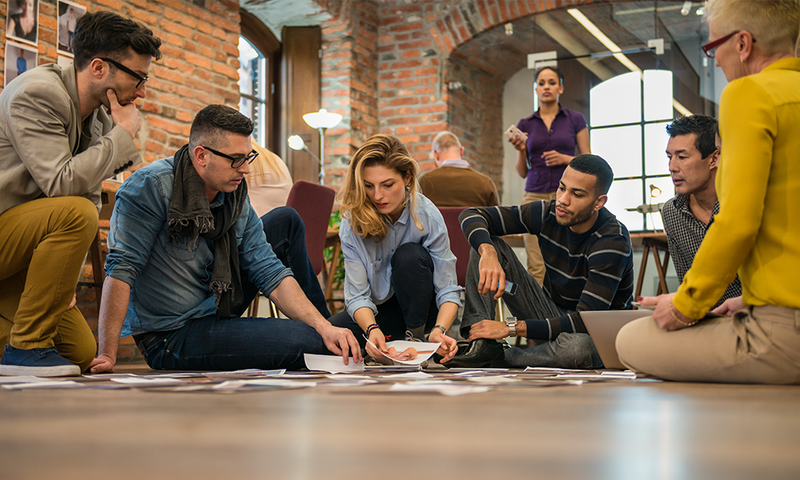 Instead of stereotyping an entire group of people, help your younger employees realize their importance and the impact they can have. Just because I might be in an entry level role doesn’t mean I can’t handle more responsibility! 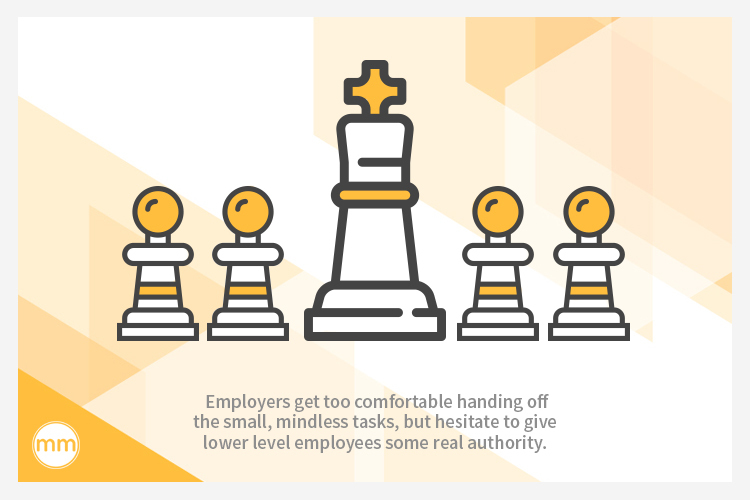 If there is one thing I notice in the workplace, it’s that employers get too comfortable handing off the small, mindless tasks, but hesitate to give lower level employees some real authority. Trust your educated millennials to put their education to work. They don’t need to be VP of sales to feel recognized. Let them get that new blog page going, let them take lead on new initiatives, get them involved in social media content. Don’t trust us with B2B interactions? Let us get more involved with internal company campaigns. We want to be empowered and we want your constructive criticism. Give us more chances to do something big. Two years ago I sought out the free Inbound Certification from HubSpot. My employer was not a customer, so we did not use the software. I wanted to understand their methodologies anyway. That course was enough to give me a foundation to start evolving our marketing department alongside my manager. I went on to make that course mandatory for new hires and interns. It’s the single most important decision I made in terms of my education outside of my degree. I wish my first employer would have encouraged more of this! Older employees need to learn it and understand it. Younger employees have been on computers for years. 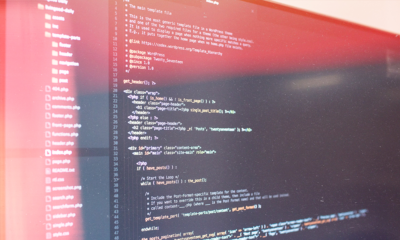 Your processes may be outdated and new programs or software could be a great fit. At the very least enable your employees to know that innovation is accepted and welcomed! These skills are ones that our youth need to take pride in. Companies need to embrace the changes that are happening in consumer behavior and stop resisting the movement. 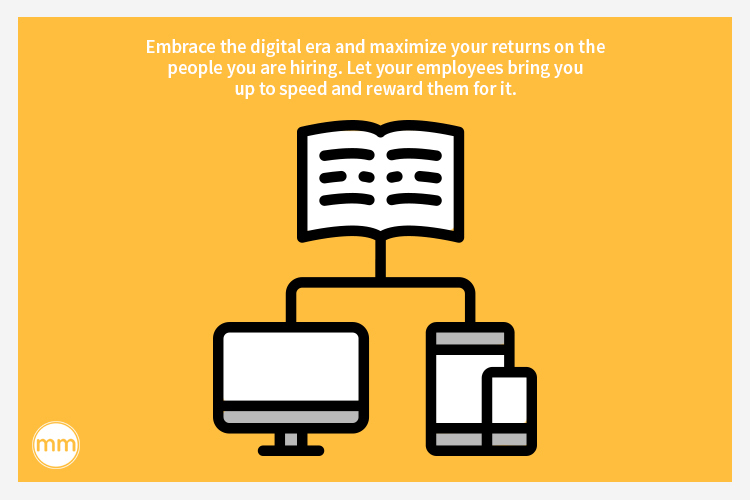 Embrace the digital era and maximize your returns on the people you are hiring. 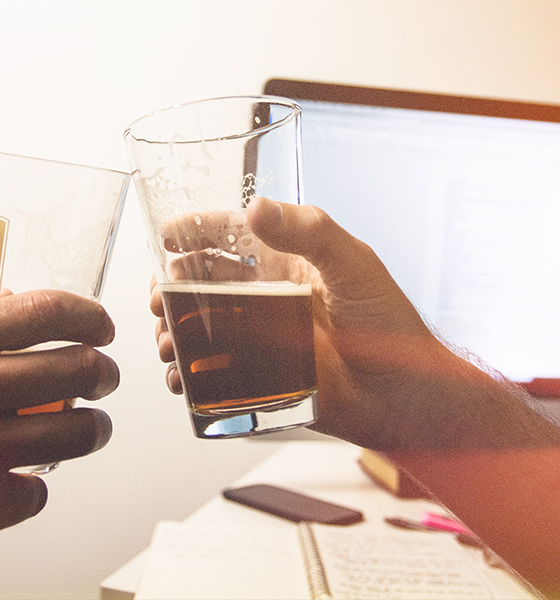 Let your employees bring you up to speed and reward them for it. 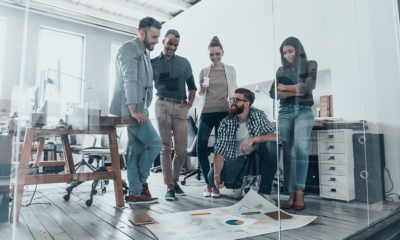 If your company hasn’t adjusted to technology and capitalizing on digital mediums, it’s time to start by recognizing and welcoming the skill sets of the younger generations. It’s no surprise that a generational gap exists. Growing up in completely different social environments and having different perspectives on consumer behaviors is enough to create several generations that just don’t see eye to eye. Like any other conflict, a strong factor here is a lack of understanding. 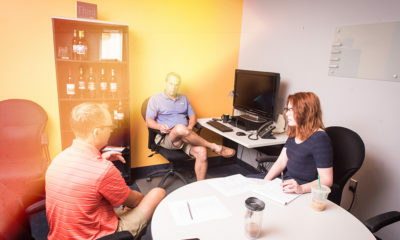 There’s a lack of understanding from upper (and typically older) management on how their younger, digital-driven employees function efficiently. There’s a lack of understanding from our youth on how to communicate properly to draw connections with our experienced co-workers or managers. The solution is simple: both the older and younger generations need to communicate with one another to bridge the gap and find the best ways to utilize one another’s gifts in this brave new world. JOIN THE NETWORK FOR FREE. Immediately access our PRIVATE FB page, exclusive videos, weekly business & marketing tips, 1-on-1's with The Modern Marketer and so much more. It's not just a list, it's a family. Inbound and Digital Marketing professional based in Buffalo, NY. 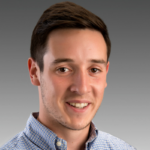 Brian has a passion for business, marketing, technology, and motivating others to live a positive lifestyle. The stereotypes are real & I also believe communication is the key to bring older & younger workers together. We must also consider that technology may not always make our work products better. It may make work easier/faster. If the technology allows users to not pay attention to details the work product will suffer. Every entrepreneur and business owner I run into has a yearning to do something deep with their business. 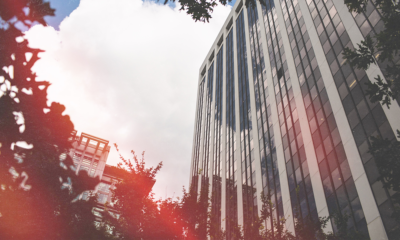 Whether it’s forming strategic partnerships, creating new divisions of their business, or rolling something new out, the desire is there to do more. But the thing that holds them back is the immediate needs of their business. In other words, that stuff that they think deserves priority within the coming 24 to 48 hours. Those immediate things get in the way— new customers, sales, business development, putting out fires. 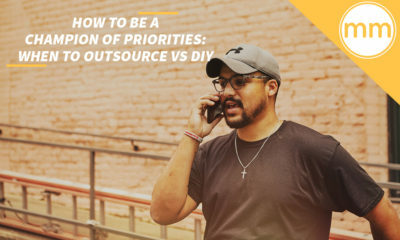 There are consequences to prioritizing those immediate needs though, and it comes as a slow fade as we continue to give our energy to the things that aren’t in alignment with our business’s core vision. Your mind simply cannot live in the now for the sake of survival. You have to think beyond the immediate or you may not have a business in a year. Many business owners strategize their growth around immediate profit centers. And on the surface level, that makes some sense. You want to make more money by capitalizing on what is already working in your business. That is, namely, your products or services. Customers and clients will come and go, they cannot be relied upon as means to scale your business. 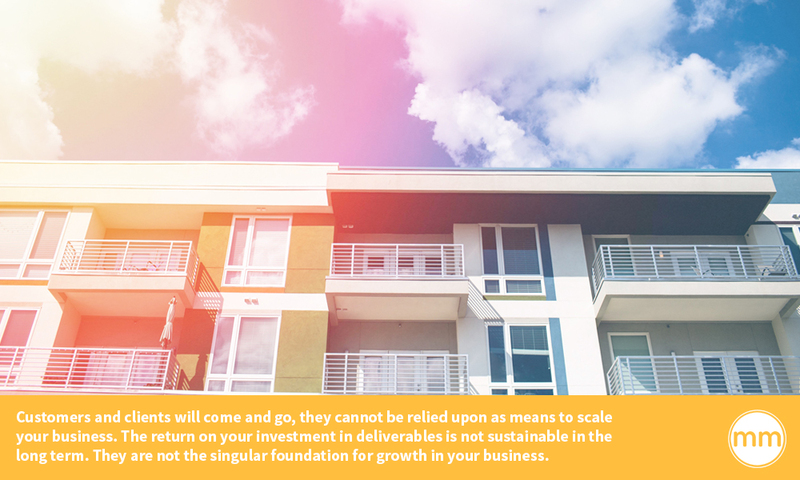 The return on your investment in deliverables is not sustainable in the long term. They are not the singular foundation for growth in your business. You cannot deviate from your vision and the plan you have for your business just because you hit a tight spot or else you won’t have a sustainable ROI. Constantly set yourself up where you’re working on things that are going to grow your business. That’s why you have to look beyond your deliverables and think long term. How can you create sustainable profit beyond the products or services you offer? The key to overcoming this endless cycle of solely profiting from the immediate deliverables is to create other sources of profit. This means loosening your grip on hyper-focused optimization of sales and looking far ahead. Yes, this consideration of the long term means putting your time and energy into profit that is not certain. But unless you open your business up to profit opportunities that can only be attained by investing in the long term, the future of your business is not good. Think of your business as a pie. Your product and service delivery is only a slice of the pie. 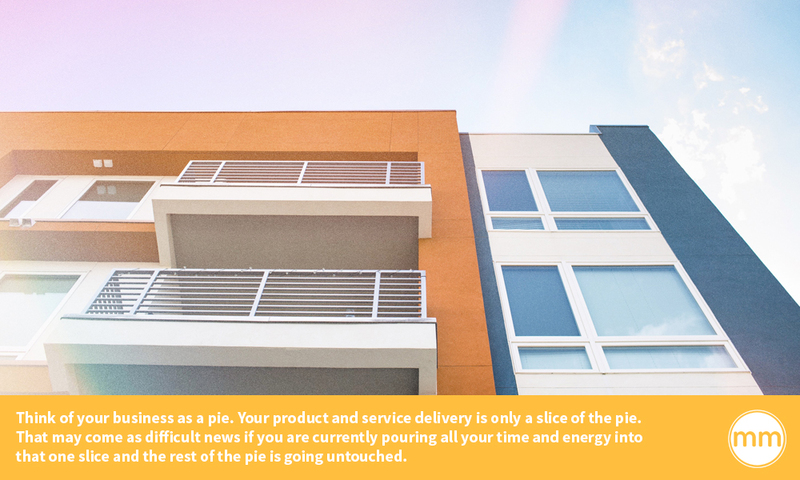 That may come as difficult news if you are currently pouring all your time and energy into that one slice and the rest of the pie is going untouched. The first step in overcoming that narrow focus on the one slice of pie is to identify other silos or profit centers in your business. 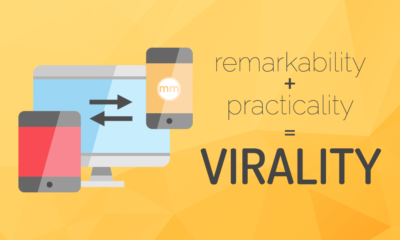 People and things that can sell for you: brand advocates, your content, networks, etc. Identifying each of these silos, or slices, and what they would look like in your business is key in beginning to dispel some of that uncertainty about the future of business. After you’ve identified these silos as they apply to your business, it’s time to take a deeper look into each of these silos. Keep in mind that the sales process for each of these silos will not be like the sales process for your products or services. Why? Because the ROI in these silos is achieved over a longer period of time. It’s a long term investment. This takes patience, diligent planning, and an acceptance that the profit will not come immediately. Take Gary Vaynerchuk for example. He didn’t just wake up and create Vayner Sports one day. He looked at the class of upcoming athletes in schools and made a conscious effort to develop relationships with them so that when they graduated he had a base to launch Vayner Sports. That took time and patience. 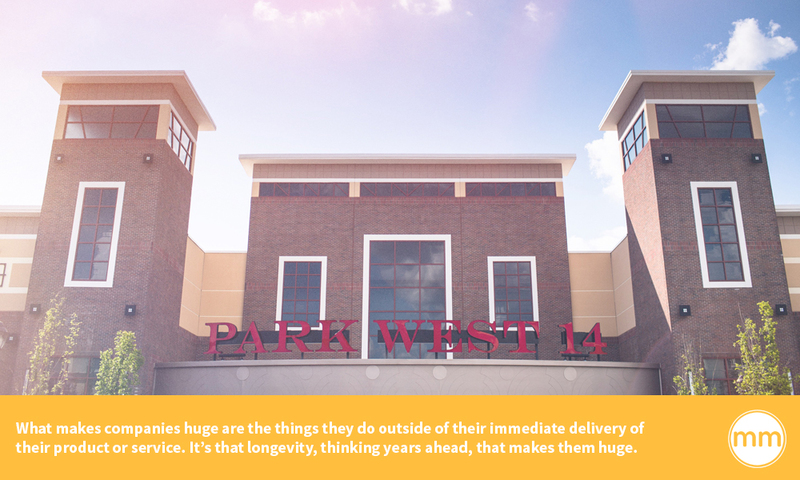 What makes companies huge are the things they do outside of their immediate delivery of their product or service. It’s that longevity, thinking years ahead, that makes them huge. So mapping out the objectives of each of these silos and understanding how many touch points it will take to accomplish those objectives is what it’s going to take to tactically approach those longer term investments. Consider that it may take a lot longer to land a strategic partnership than a new customer, but that partnership could yield 10 to 50 times the ROI than that new customer. Once you’ve mapped out the process, you have to prioritize accordingly. You only have so much energy and time to give. So if you’re going to exert a lot of energy, wouldn’t you prefer to do it over a longer period of time for a greater ROI? So stop spending 80 to 90% of your time in the silo of product and service delivery. The energy you’re putting into that short term silo is yielding far less ROI in the long term. After you’ve identified your other silos and mapped out the processes for each, it’s time to add the next layer: value-based investments. What are value-based investments? 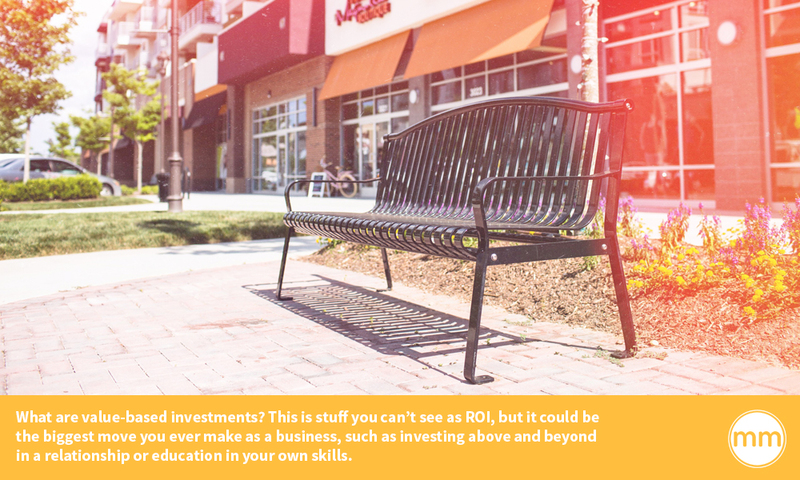 This is stuff you can’t see as ROI, but it could be the biggest move you ever make as a business, such as investing above and beyond in a relationship or education in your own skills. Value-based investments may not have ROI today, but they could in the future. It’s the same concept as going into higher education. If people are willing to go $100k into debt to get higher education all for the sake of getting an unguaranteed higher quality job, why should we think any different as business owners? A great example of a value-based investment I made is in The Modern Marketer itself. I didn’t know that this publication would be as big as it is now, but I decided to invest my energy into it anyway. If you added up all the money and every hour I put into it, it would be at least $50k. Now The Modern Marketer is everything for us. 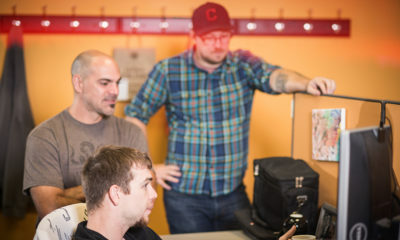 It’s the only thing that separates us as an agency from anyone else in our industry. So on top of creating those silos, always have three to five things that you’re putting time and energy into as a value-based investment. Keep that higher perspective in mind, or else you’ll always be relying on income from cash flow. Every company that’s had a massive payout has made value-based investments. For these greater things to work out, you have to plan for them to work. You have to slowly chisel away at value-based investments. The way we measure the ROI of value-based investments is a benchmark technique called best case scenario. For example, if you were going to not listen to anything I’m saying here (which is fine), what’s the best thing that could happen? You get 10 more clients? You make 30 more sales? That’s your benchmark. But if you take a day to plan ahead and consider the best case scenarios for the payoff of your value-based investments, you’ll realize you need that and the other silos. 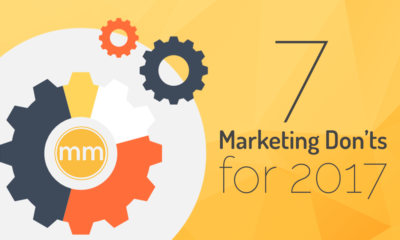 You can’t rely on product or service delivery and expect growth over the next 12 to 24 months. If I told you that you wouldn’t make money for the next year and a half, but on December 15, 2018 you would make $1 million, wouldn’t you drop everything to make the investments necessary for that to happen? Of course, you’ll never actually reach that best case scenario. You’ll never have the best of everything. But if you take the time to carefully consider these scenarios, you realize that longer term investments have a far better ROI than the short term ones. I went through this process of realizing three to six months of my energy had been dedicated to things that were not for the sake of bigger growth for the company. ROI is not about volume of product or service sales, it’s about silos and value-based investments. We have to be more practical with the prioritization of our energy. You have to prioritize longevity over your immediate needs. It’s not a recommendation, it’s a requirement. Statistically, a year from now, more than half of you will not have your business. The only way we can prevent ourselves from becoming that statistic is by strategically planning into the future. True ROI in business comes from those other silos, by seeing the whole pie and not just the product and service delivery piece. That and your value-based investments are the keys to not only sustaining your business over time, but growing your business. Identify those silos, map out their processes, and create some value-based investments. If you prioritize your business in the long term, the immediate needs will be taken care of as a result. Don’t let your business fade away because you were too focused on the short term. Prioritize longevity. Everyone wants to find the cheapest way to advertise their business. It can get pricey to get your products or services in front of the right people, particularly if you don’t understand your audience. But when you’re a small business and working with a tight budget, it can be especially challenging to determine how best to use your advertising dollars. However, there’s a trick to digital advertising… are you ready? It’s not necessarily about understanding your audience, it’s about understanding what you’re trying to get your audience to do. If you understand your objectives, you will be able to spend your limited budget in the right way. A lot of marketers make out advertising to be a matter of “figuring it out.” But when you’re advertising digitally, there isn’t anything to “figure out,” because the information is all there. What’s key in making decisions for investing your ad dollars is knowing your objectives, and then split testing the right things. There’s no “right way” to advertise on a budget, there are ebbs and flows. This is why we split test. 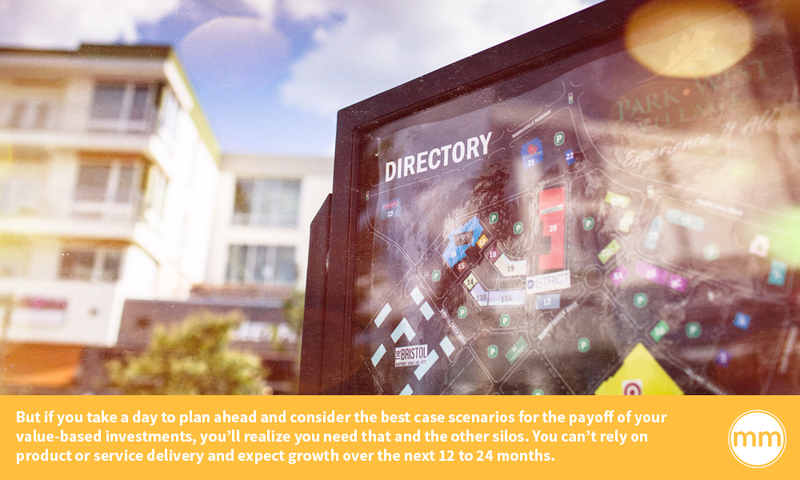 You may be reading this and think you really do know your objectives… but do you really? It’s a typical response we hear, and there’s a chance you think that’s your objective too. But it’s very seldom the true objective in advertising. “Driving traffic” is very general, and perhaps an overarching goal in advertising. But it’s not nearly specific enough. You have to go deeper with your objectives. Who do you really want to connect with? What actions do you truly want a prospect to take? Are you going to rely on the law of averages to convert 1-3% of your prospects into sales? If not, what type of nurturing touch points are you going to have with the prospects to guide them towards conversion? How will you retarget nurtured prospects to get them to buy? 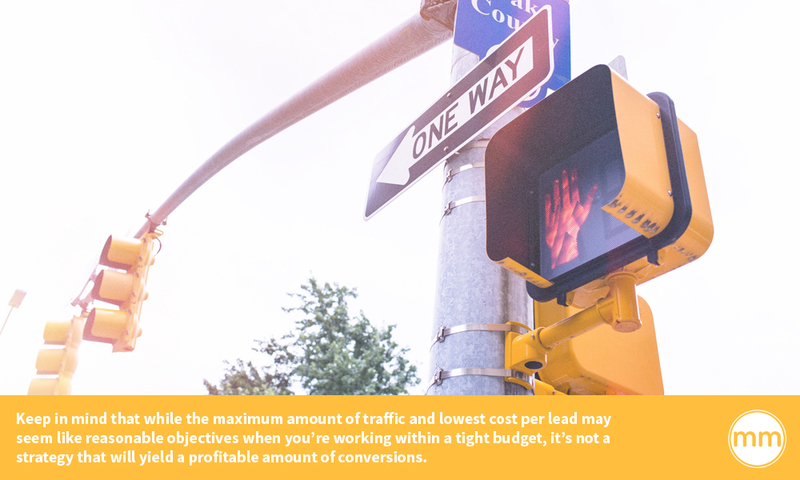 Keep in mind that while the maximum amount of traffic and lowest cost per lead may seem like reasonable objectives when you’re working within a tight budget, it’s not a strategy that will yield a profitable amount of conversions. For example, for a client of ours it cost us $15 per ticket to sell out their conference. The cost of tickets were $125, so obviously the profit is $110. If our cost per lead was only $1, but we sold 20 tickets instead of 300, that wouldn’t have been nearly as effective a campaign. In other words, casting the largest net won’t get you the best fish. When it comes to sales, you need to put quality of leads over quantity of leads. Define your KPIs (key performance indicators) based on quality, not quantity. It’s easy to get caught up in vanity metrics and think your advertising dollars are being well spent. But if you understand the buyer journey and have objectives for each step of the sales funnel, you can more readily measure the success of your ad campaigns— not based on the number of leads you end up with, but the actual profit on conversions against what you’ve spent. Too many people quit their ad campaigns too soon because they focus on entry level data rather than their actual objectives. I’ve had clients that say, “oh, that campaign didn’t really work out,” when they don’t get the results they wanted and I ask them to explain what “didn’t work out” means. Then when we start talking about the actual objectives, then they realize that the campaign is working, it’s just one part of the sales funnel that needs fixing. 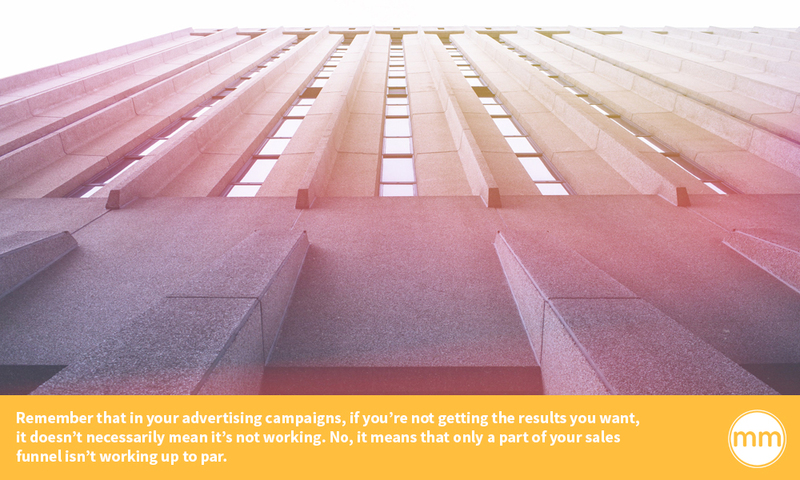 Remember that in your advertising campaigns, if you’re not getting the results you want, it doesn’t necessarily mean it’s not working. No, it means that only a part of your sales funnel isn’t working up to par. 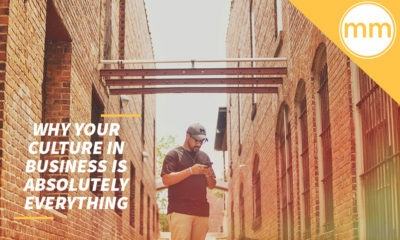 Are you connecting with the right people? Are the people you’re connecting with taking the action you’ve set out for them? Is your lead magnet offering enough value? Lead magnets are a great way to attract the right people into your ecosystem. By offering some sort of value in exchange for the user’s contact information, you can quickly pull that person in and turn them into a lead. 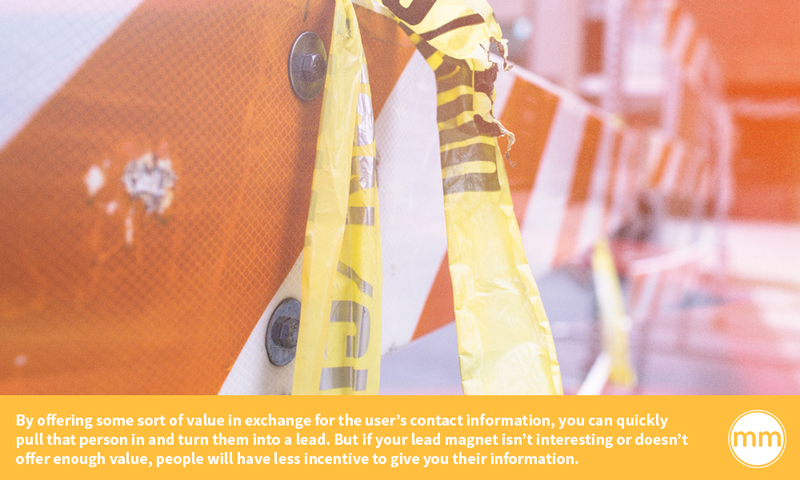 But if your lead magnet isn’t interesting or doesn’t offer enough value, people will have less incentive to give you their information. This is where split testing comes in handy. Try different lead magnets and see what works. Try targeting half your audience with an ebook lead magnet and targeting the other half with a video tutorial. There’s lots of ways to attract leads in. So experiment. Try new things. Remember, there’s no “right way” to do this. Are you relying on the laws of averages to get those conversions? Maybe it’s time to more actively connect with your leads. You will get some leads to convert without much effort, but not many at all. If you want to maximize conversions, you have to stay at the top of the leads’ minds. This means not passively sitting back and waiting for leads to decide to buy. It means touching in with them, feeding them a little more value, reminding them you’re there. What kind of nurturing touch points can you have with your leads to guide them to buy? If you have a substantial list of email subscribers, your best bet is to schedule out a nurturing email campaign. After several nurturing emails, you can send them emails with calls to action. This is what will drive more leads to buy. If you lack an email list, Facebook retargeting ads are a great way to prompt your leads to buy, and can be easily tracked. Whatever route you decide to take, you’re going to get the most bang for your buck if you more actively nurture your leads and retarget rather than passively leave the buying decision up to them. Are you continuing to engage customers after they’ve bought from you? If not, you’re missing a crucial opportunity for growth. How can you continue to build relationships with customers so that they return and advocate for you? I say it all the time: you cannot grow your business from the first sale. You need a second, third, fourth, fifth sale in order to grow. This doesn’t mean that you need a lot of customers, it means you need loyal customers. This stage of the buyer’s journey is ultimately what will pay off your limited advertising budget multiple times over. If you seek to build relationships with these customers rather than use them for the transaction and forget about them, you have the capacity to pay off your advertising 3x. After the sale, you can continue to engage these customers with email marketing and retargeting ads. They may not buy from you again right away, but you will be kept in mind and they may even refer people they know to your business. It’s not rocket science. You’re trying to maintain a relationship with another human being. These are important touch points. So if your ad campaign is struggling to get the results you want, it doesn’t mean the marketing advertising isn’t doing its job. It means a part of the funnel isn’t working. So focus in on the funnel and identify what needs to be fixed in terms of the objectives you’ve set out for the campaign. Like I’ve said multiple times throughout this post, there’s no right way to do this. With any ad campaign, there will be ups and downs, ebbs and flows. Think of your ad campaigns as ongoing experiments. If you’re going to focus on experimenting with ad campaigns on any platform, make sure it’s on Facebook. Facebook is a great advertising platform because it marries native advertising and interactive media. Whether it be canvas ads, bleed ads, video ads, there are literally brands being built off of this platform. So I really advise you lean in and experiment there. Understand there’s multiple levels to advertising. So if you’re working within a budget, it’s crucial to define your objectives. Make your KPIs about quality, not quantity. It may seem like it’s worth your money to cast a large net, but it’s not. You need good leads, not the most leads. I get it, ad campaigns can be nerve racking when you put money into them and you’re not seeing the results you want. But don’t react by breaking off the campaign. Focus in on your sales funnel. Focus on the objectives of each stage of the funnel. Fix the parts that aren’t working up to par. This will allow you to optimize the funnel you have and crush every campaign on a limited budget. Back when ranking on search engines was a main motivator for content marketing, marketers were all about written content. Video has got people’s attention. Not just their eyes, like written content, but also their ears. 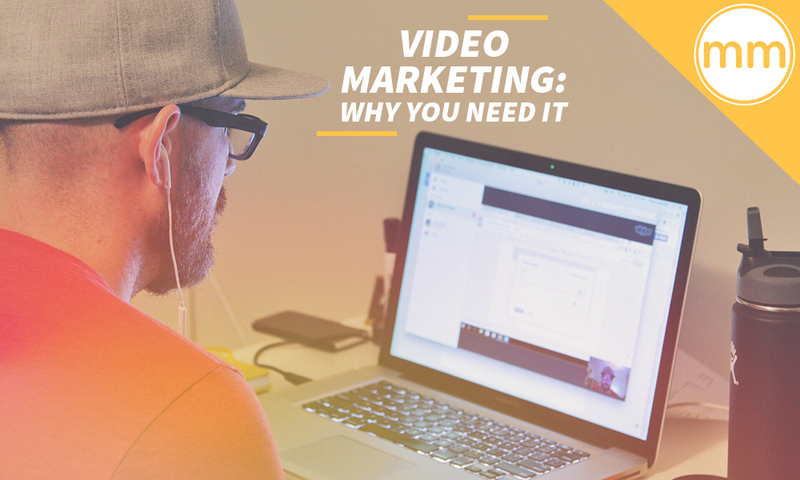 When it comes down to it, video just offers a whole different level of connection to your audience. But there are deeper reasons beyond just jumping on the video marketing trend that are of benefit to businesses. If you haven’t started using video as a part of your marketing strategy yet, here’s 4 reasons why you should. Here’s the thing about inbound marketing: it all starts with awareness and education. After the awareness stage of the A.C.E. funnel, buyers want to learn more. And what do you typically do when you want to learn more? You hit up Google. But are most people more likely to read an article about it or watch a video? According to Pearson Prentice Hall, 65% of the population consists of visual learners. The overwhelming majority actively seek out video visuals to educate themselves. Don’t get me wrong, I’m all about creating an awesome blog, but the statistics speak for themselves. The video format is simply where the most people seek value. So it’s really silly not to give the people what they want— which is videos. I talk a lot about social distribution and how to get your value out there. Video is indisputably pertinent to distributing value. If you want people to be educated by what you have to offer, then put it in a video. 55% of people consume video content thoroughly (HubSpot, 2016). We at The Modern Marketer have discussed how short the average attention span when it comes to reading articles. Most people only read about 1/5 to 1/3 of an article. So that being said, and considering the statistic above, you would think capturing attention with video marketing is a breeze, right? Just because you create videos doesn’t mean people will pay attention. Just like with written content, it doesn’t mean you can simply create it and people will flock to engage with it. Millions of videos are being uploaded everyday, so there’s a lot of competition to consider. Content is still king. You have to go deeper to provide value that’s worth people’s attention. You have to earn that attention still. The best strategy for grabbing that attention through video is to create it consistently. You still want to be providing value that your audience wants to see, but by keeping it up consistently you can engage people at different angles and perspectives and effectively cut through the competition. Consistency will always be key with the content you put out in any context. But video is especially to invest into consistently because of the ROI. 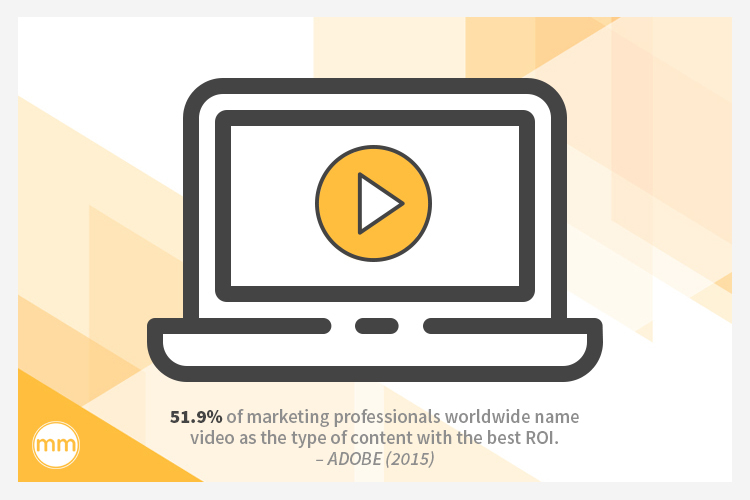 51.9% of marketing professionals worldwide name video as the type of content with the best ROI (Adobe, 2015). So the benefits of video really do pay off. You just have to be able to consistently deliver that value. Video is by far the most intimate of all contextual formats. Through what other medium do you have the opportunity to be as raw, transparent, and upfront as you can be with video (particularly live video)? Certainly not through written content. Marketing is all about storytelling. 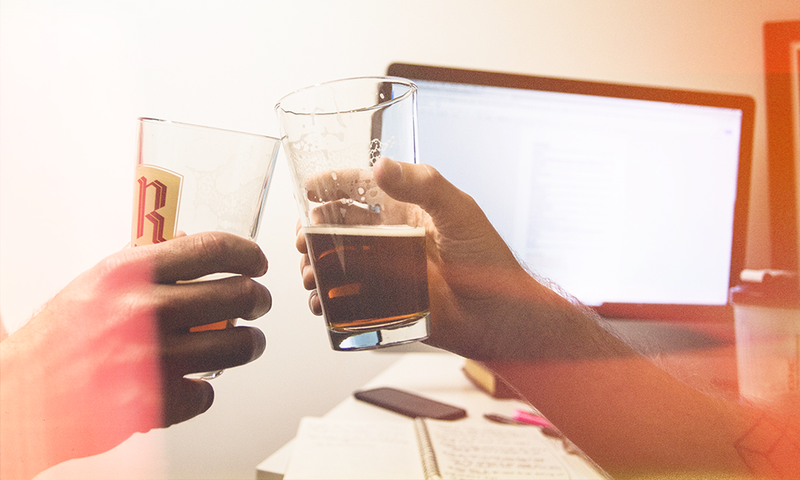 The best marketers out there are professional storytellers. Gary Vaynerchuk and Casey Neistat are all great examples of this. 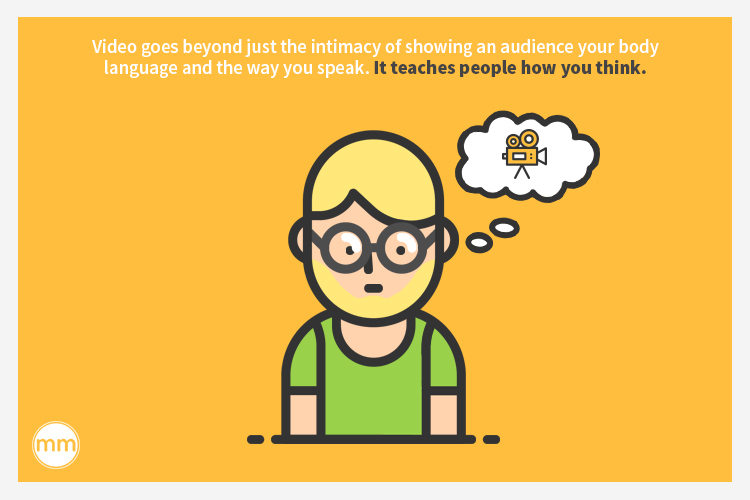 Video goes beyond just the intimacy of showing an audience your body language and the way you speak. It teaches people how you think. That aspect of video is perhaps the most significant benefit of all. If you’re on the path of thought leadership, this is the best format to really put your brain on display and show people some of the deepest value you have to offer. And over time as your thoughts change and evolve, this will reflect in your videos. People get to see your story play out in front of them. Do you understand how dope that is? Your growth as a brand and as a person is so well documented in video that if you lost everything tomorrow— your audience, your clients, your advocates —you have an entire archive of your digital assets there to provide value. Video truly personifies who you are as a brand, and documents your story well beyond any other format. No matter where you are in business, whether you’re just starting up, you’ve been in business for years, or maybe you haven’t even started yet— you have an idea. Putting that idea out there is an integral step to brand awareness, right? So when you put that idea out there through video format, you’re presenting an opportunity to demonstrate to an audience a type of value that is very seldom replicated: wisdom. But it doesn’t come right away, and it doesn’t come to everyone. Everyone can talk a big game. Everyone can call shots and miss. But if you really, truly know what you’re talking about you can amaze people by speaking your vision into existence. If you watch my YouTube channel, you know I do a video series for The Modern Marketer. When I started doing these videos last year, I made a video called Instagram Video… A Viable Strategy? where I spoke about my experiences with influencer marketing and Instagram video around 2015. This was in 2015 before video marketing clips on Instagram was even a thing. As I say in the video, the client I worked with using this idea went from a few hundred followers to 3,000 followers just from using this new brand promotion idea I had for Instagram. 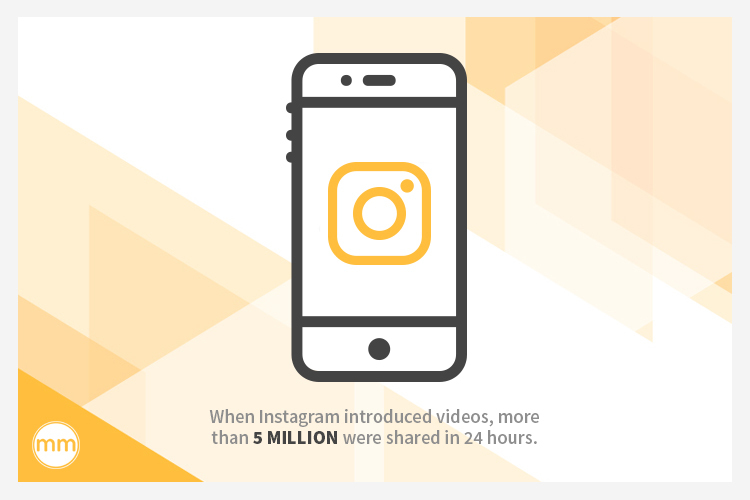 Sure enough this idea gained popularity and everybody started using Instagram for video marketing. My idea worked. I was able to demonstrate value that could not be replicated simply through making a video about it before it happened. Value can also be heightened in videos when you speak about a trend. People always want to hear about the latest thing and what it will do for them. It doesn’t matter what industry you’re in. People always want the latest information. Thought leaders will jump at the opportunity to lay their thoughts out there on trends. I made this video about Squarespace when it started to gain traction as a platform. That relevant value does wonders for your reputation, and adds value to your brand as a whole through wisdom. If you haven’t been convinced yet that video marketing is for you, then you’re making a big mistake. 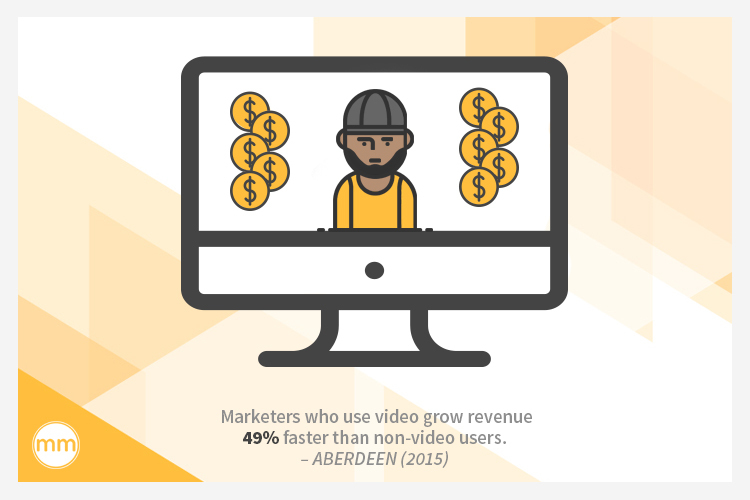 Marketers who use video grow revenue 49% faster than non-video users (Aberdeen, 2015). No medium is more genuine and raw in the value it provides than video. 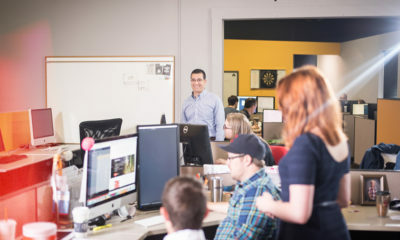 With consistent video content as a part of your marketing strategy and a concerted effort to add value and knowledge to your video content, your ROI is going to flourish. So don’t hesitate to include video into your marketing strategy: no matter your industry, video has the opportunity to impart value and heighten your marketing game like nothing else. 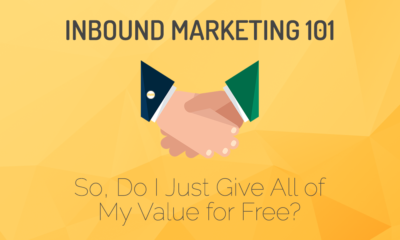 Inbound Marketing 101: So, Do I Just Give All of My Value for Free? The Modern Marketer Network. Join Now! Private FB page, exclusive videos, weekly business & marketing tips, 1-on-1's with The Modern Marketer. Join tens of thousands of business professionals​​​​​​​​​​, marketers and entrepreneurs just like you.